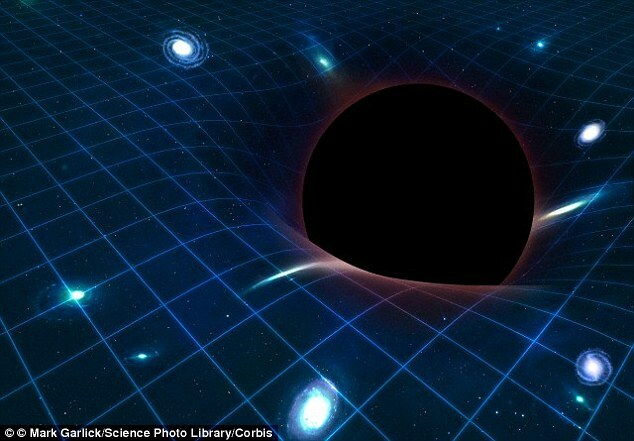 There is a bizarre theory about our universe that it might be just a Hologram. A hologram we live in. The holographic notion has been equated us being characters on a television show who don’t actually know that our apparently 3D world occurs only on a 2D screen. The information about everything in our cosmos might essentially be encoded in tiny packets in two dimensions, theoretical physicists say. Consider for a sec that if space and time were not continuous then everything in the cosmos would be pixelated, just like a digital image. The natural “pixel size” of space is approximately 10 trillion trillion times smaller than an atom, a distance that physicists called Planck scale. According to quantum theory it is impossible to know both the precise location and the exact speed of subatomic particles. If space arises from 2D bits with restricted information about the exact location of objects, then space itself would fall under the identical theory of uncertainty. That means it will be impossible to find the exact location of that particular pixel. Now for the confirmation of this theory scientists used the Fermilab's Holometer, or holographic interferometer, the most subtle device ever made to measure the quantum jitter of space itself. For the past whole year, it has functioned on full power, using a pair of interferometers located close to one another. Each interferometer sent a one-kilowatt laser beam (the correspondent of 200,000 laser pointers) at a beam splitter and down two vertical 40-meter arms. The light was then mirrored back to the beam splitter where the two beams recombined, producing fluctuations in brightness if there is motion. Scientists studied these fluctuations in the returning light to see if the beam splitter is moving in a definite way – being carried along on a jitter of space itself. 'Holographic noise' is expected to be present at all frequencies, but the scientists' challenge was not to be fooled by other sources of vibrations. The Holometer tested a frequency so high – millions of cycles per second – that motions of normal matter are not likely to cause problems. Rather, the dominant background noise is more often due to radio waves emitted by nearby electronics. The Holometer experiment was designed to identify and eliminate noise from such conventional sources. It did not detect the amount of correlated holographic noise - quantum jitter - that this pixelated model of space-time suggests. So ultimately Fermilab's Holometer proved this model of space-time wrong. Fermilab's Holometer has also developed a new way of studying space and time that researchers didn't have before. The research was published in symmetry magazine.